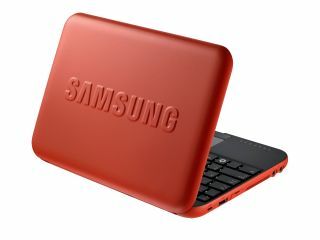 TechRadar has teamed up with Samsung to give you the chance to win a stylish Samsung N310 10.1-inch mini notebook. The N310 features the sophisticated styling of Naoto Fukasawa, a leading international designer whose work has won more than 50 design awards in Europe and America and Asia. This mini notebook features a sleek frameless screen and pebble design keyboard that has 93 per cent of the key spacing on a desktop. Underneath the N310's elegant styling and tactile shape is a robust and ergonomic design that is built to meet the highest quality and strength standards. But it's not only on the outside that the N310 is the epitome of good design. It boasts long-lasting battery powered performance of up to 5 hours yet weighs just 1.23kg. It's powerful, too, with a 1.6 GHz Intel Atom processor, 160GB hard drive and 1GB of memory. Running Windows XP Home, the N310 also boasts an integrated 1.3 megapixel webcam as well as Wi-Fi, a 3-in-1 memory card reader and three built-in USB ports. This competition is now closed. The winner is Mr T Johnston.